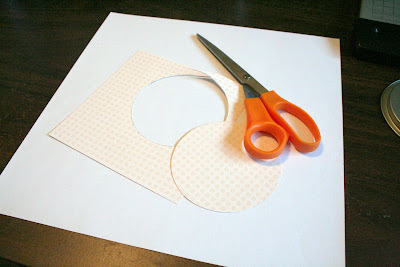 For the Love of Paper: PTI Blog Hop! Its Blog Hop Night! Make sure and check out all the other blogs with projects here. 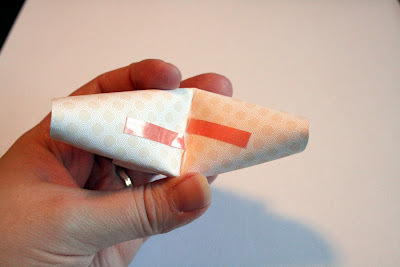 I have made fortune cookies with my students before and knew that was what I wanted to make from our squares of paper. I made these from the 6x6 pad of Father Knows Best paper pad. 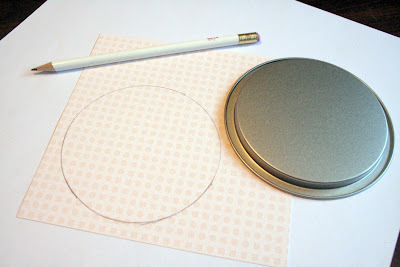 Start by tracing a circle on the paper. Any circle from about 3-4" works well. 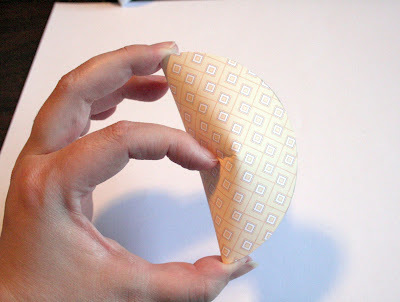 Fold the circle in half, but do not crease the circle. Bring the two sides together. They look more realistic, if you do not fold them in half, but rather, off-center. You want to do this before you apply adhesive. I recommend a strong adhesive, because of the pressure on the sides. I used two strips of Wonder Tape. Keep the pieces small enough, so they do not show. OH WOW!!! That is SO cute!! and step by step tutorial as well. thanks so much. I love it. Thanks so much for sharing. Fantastic idea, great post for the challenge! What a cute idea, Kimberly! I love them! What a cute idea. Thanks for sharing how to do it too. How cute! Love the idea. Kimberly, How flippin cute IS that!!! Cool project! I love it. Are you a teacher also? You are so creative!! This is fantastic! Oh WOW! Kim these are awesome. I just LOVE this. Awesome job Kim! Love them! Adorable, clever and beautifully made. These are just adorable. Love them! Wow! This is definately going into my favorite ideas book! Love it! How clever! What a great gift idea. This is an amazing idea! Thank you for the great instructions. This would make a wonderful gift. Thanks for sharing. Seriously?!? This is absolutely awesome!!! So totally inventive! Love how you thought outside the box! Very clever project. This would be a cute idea for a centerpiece for a shower or party with one for each guest at the table. Thank you for including the "how to do". OMG... how cute are they! Wonderful idea! How amazingly clever! I love them! Hi! 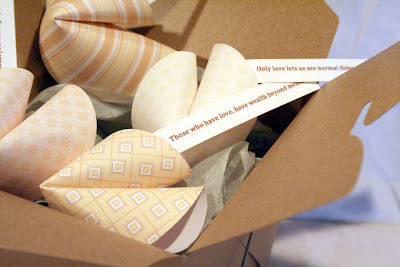 I was linked to this blog for these awesome fortune cookies. My Girl Guide district is doing an Asian camp in 2 weeks and they will be a great addition for the older girls. As I was checking the info for the fortune cookies one of your slide show LOs jumped out at me - my DD#1 also called ketchup "kepitch". I am so going to do a LO about this now. I added you to my faves - love your work! Oh, Kimberly! What a great idea! I just love your little fortune cookies! Wow Kim, that is really awesome, I'm going to make some for dd's b-day party. TFS!! A great idea, and simple, too! So cute! I'm pulling out some paper now!! Those fortune cookies are so clever! 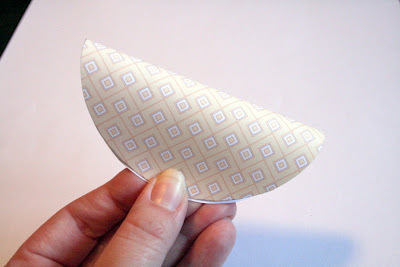 totally cute I have a pattern to make these out of fabric but paper is darling too!!! These would make great gift tags for gifts packaged in those cute chinese take-out style boxes. Thanks! thanks for the great tutorial! this is such a great idea! Wouldn't these make cute Valentine's?! That is the best idea ever. 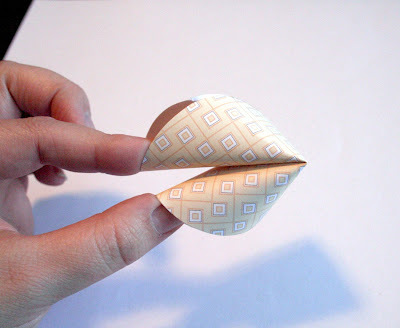 I am going to make some paper fortune cookies. 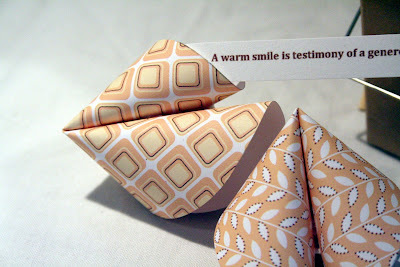 You can also print off some of the virtual fortune cookies found in http://www.mychinesefortune.com/ . They are more funny. What a fun idea - love it! The chopstickes, the way you added the fortunates...it's all so clever and it looks amazing! Thank you for such a nice tutorial. 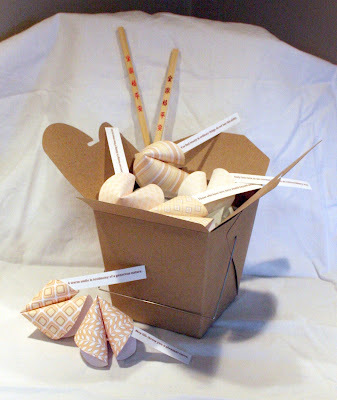 This is a great idea and I'm excited to make some fortune cookies! Also, thanks for the reference to fortune cookie sayings! My 9 year old daughter is going to use these for her Valentine's Day exchange cards. 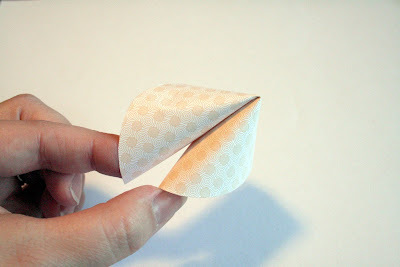 I think those fortune papers are amazing!! Absolutly gorgeous! Definatly going to make some of those!!! Thanks for the imspiration! This is so cute im making a fortune cookie for my dad to put a ring in it for my mom on mothers days. Such a neat idea!! I love those! I'm so excited to try to make them! Thank you for sharing! What a great idea!!! the final project looks amazing! :) great job! What a wonderful idea. I am a PTA President and was looking for an end-of-year "thank you" idea for my PTA Board. I made the fortune cookies, and for fortunes, I put individualized notes specific to that Board member and the great things they had done that year. I love how they turned out! 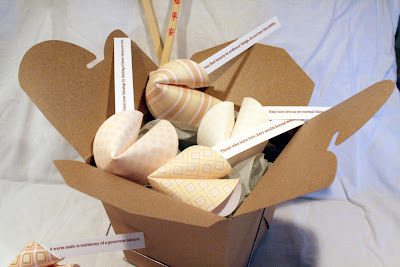 Hi Kim, I posted about your paper fortune cookies at my site, check it out. Just the cutest idea Kim!